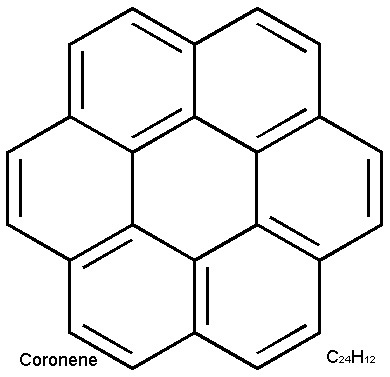 Chemically identical to Coronene (Hexabenzobenzene), a polycyclic aromatic hydrocarbon used to produce Organic Electroluminescent Material. 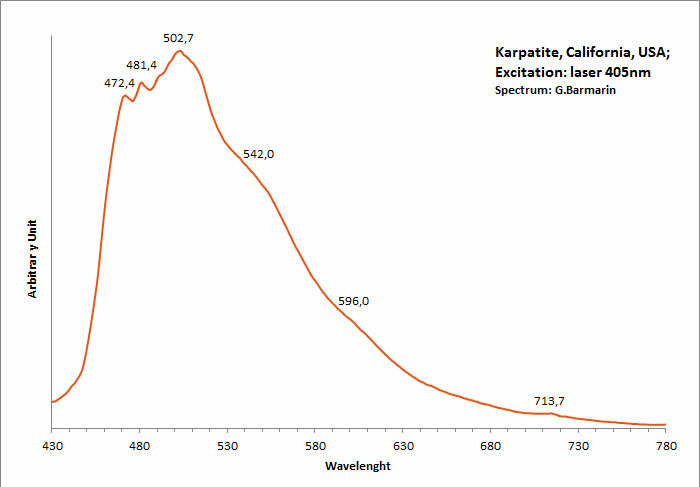 The name replaces pendletonite (CNMMN, 1971), karpatite and coronene. Karpathite is composed of flakes of pure coronene embedded in sedimentary rock. 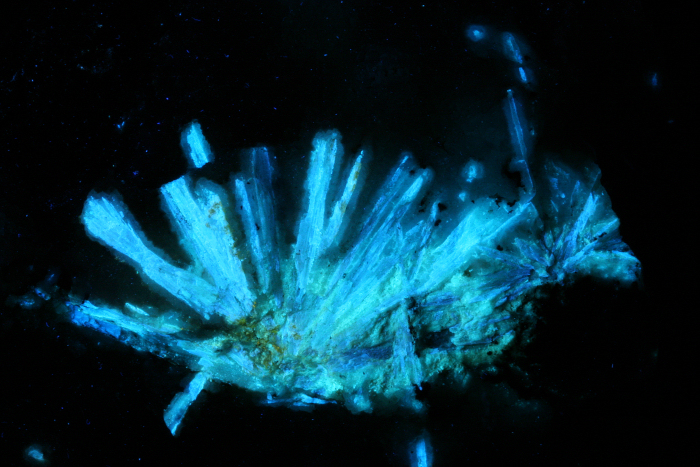 This mineral may result from ancient hydrothermal vent activity. See gallery for a scheme of the chemical structure of coronene. Inhalation: toxic: possibility irreversible effects if inhaled. 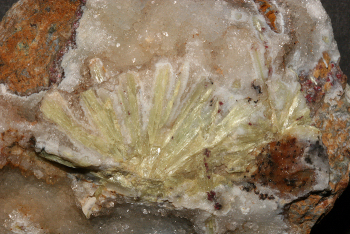 Ingestion: Toxic: danger of very serious irreversible effects if swallowed. Skin Contact : Harmful: danger of serious damage to health by prolonged skin contact. Blue luminescence due to the two linearly annelated benzene rings characteristic of aromatic compound (singlet-singlet electron transition within the benzene rings). 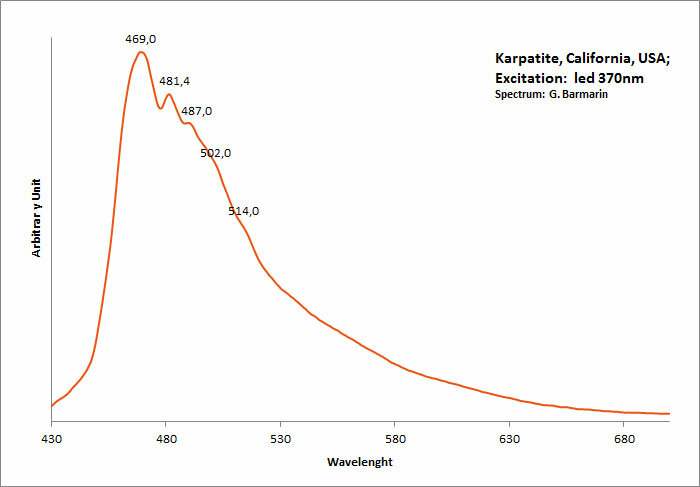 Spectral lines (cm-1): 208, 192, 178, 164.